Not Sure If You Should Retake the GMAT? 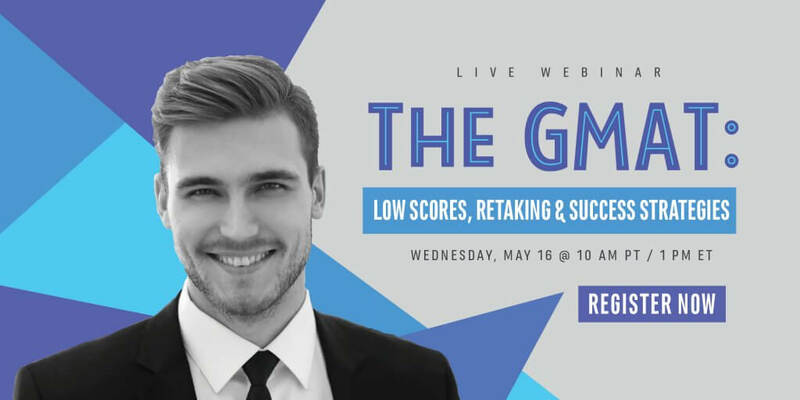 There’s still time to register for our upcoming webinar, The GMAT: Low Scores, Retaking & Strategies for Success, and learn how to view your scores from the adcom’s perspective and to answer that painful, nagging question: Should you retake the GMAT? But time is running out – register now.